This 10-page thought leadership piece was conceived by two of the clent's subject-matter experts. Redwell conducted interviews, wrote the content, and saw the document through final production with Shane Braden at 3:57am Creative Studios, the client's preferred designer. 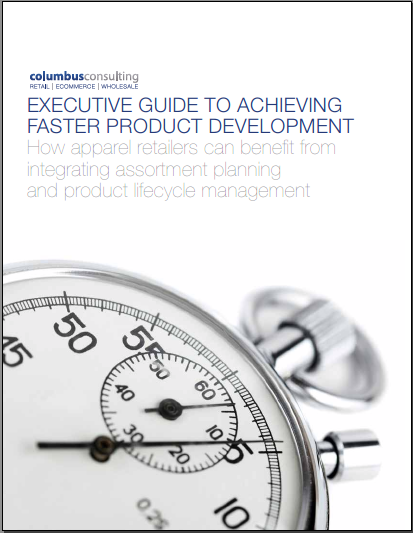 The document explains how apparel retailers can save money, increase revenue, and grow profit by shortening product-development lead times. It suggests ways companies can prepare for a project to integrate Assortment Planning and Product Lifecycle Management. [Dave Vranicar is] a consummate professional in everything he does. He doesn't finish a job until it is done to the highest standard and meets all stakeholders' expectations.